(I-87). Exit 18 (New Paltz). From NYS Thruway Exit 18 (New Paltz): At the first traffic light make a left on to Route 299 west (it is also Main Street) into the town of New Paltz. Go past the second and the third lights.At the fourth light make a left on to Route 32 South. We are about a mile from this light on the left-hand side. 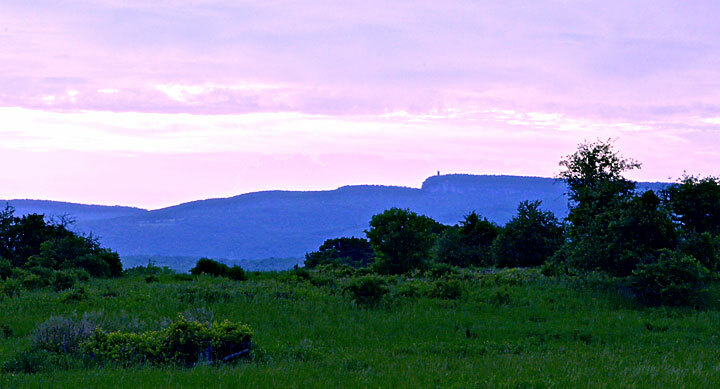 You will see the SUNY New Paltz campus on your right — Apple Hill Farm is just past the SUNY campus on the left. GPS isn’t always correct. We are located on Route 32 South not North. On some of the GPS Route 32 South comes up as South Manhiem Blvd. After the State University Campus South Manhiem becomes Route 32 South we are just past the State University Campus. Map Quest, Yahoo, Bing and Safari have it correct. Google Satellite has us right finally so hopefully it will come up correctly.